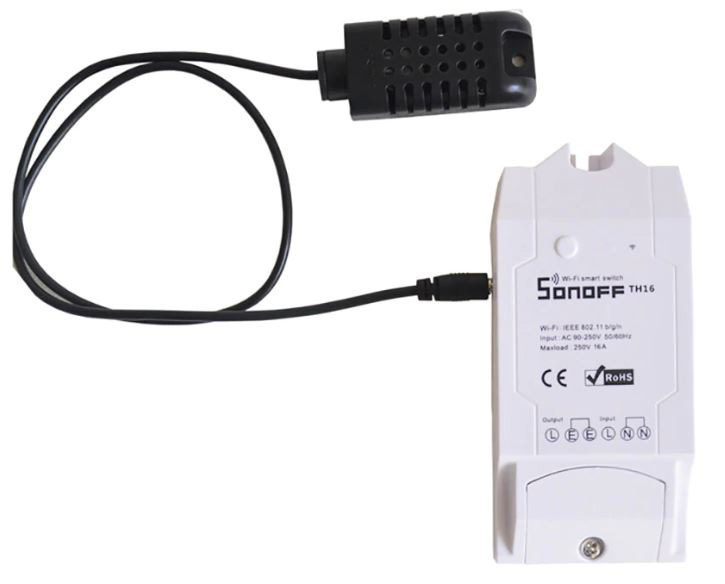 Sonoff TH16 is a 16A (3500W) Wifi Smart Home Switch with temperature- and humidity sensor. 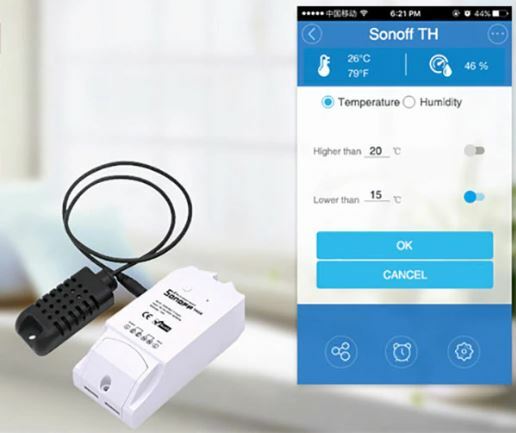 Using the eWeLink App, you can control the connected devices or lamps from your Smartphone and by connecting the included a temperature-/humidity sensor, you can easily make it turn on if the temperature goes below a set level. You can also monitor the temperature and humidity on your smartphone. Everything is controlled via the eWelink app, which can be downloaded for free to Android and Iphone. Suitable for inter alia heat management in summerhouses, or other places where control and monitoring are necessary.